It was a beautiful day at Animal Kingdom, with a light breeze. 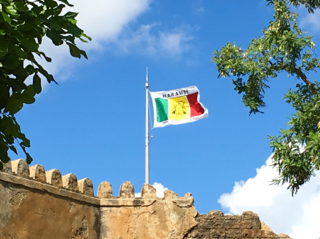 As I was waiting for my tour guests at Festival of the Lion King, I noticed this "Harambe" flag blowing on top of the theater. It is just another example of the details that make each area of this park so authentic.